Three tech stories you need to know. 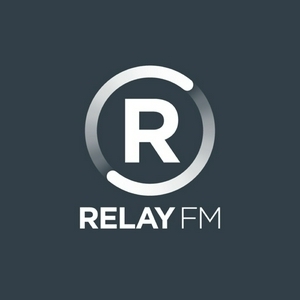 Subnet is a production of Relay FM. Qualcomm has won an injunction against Apple in Germany; the FBI is taking down DDOS sites; the iPad is a more flexible computer than Apple says it is. On Earth, Facebook got a lot of bad news. Meanwhile, way out in the Kuiper Belt, the New Horizons spacecraft bears down on Ultima Thule. SpaceX is raising $500 million to build its satellite broadband network; AT&T is rolling out 5G to 12 U.S. cities, but it doesn't matter. Finally, Twitter is letting users arrange their timelines in a chronological fashion. Russian disinformation campaigns in 2016 were even more widespread than previously thought, especially on Instagram; Google's search engine for China may be dead in the water; and Google invests in more New York City real estate. Apple Music is now on the Amazon Echo; Robinhood is in hot water over a new checking account plan, and Vine and HQ Trivia co-founder Colin Kroll has died. Apple is building a new campus in Austin, YouTube is cracking down on policy violations, and Virgin Galactic has made it to space. Apple has a plan for a premium news subscription service; Intel introduces a new chip architecture; and Apple plans to build its own modem chips for the iPhone. Sundar Pichai spent a day in Congress, Supermicro says a third-party audit of its systems show no infiltration by China, and Verizon says its Oath brand is basically worthless. Apple and Qualcomm's patent battle moves to China; GoPro plans to pull production of U.S.-bound products out of China; and the New York Times casts a spotlight on how smartphone apps abuse location data. Waymo's driverless cars are not-so-much, Alexa wants to fix our mistakes, and Android's Ice Cream Sandwich has melted. MoviePass and Microsoft Edge are both being reborn, while the Apple Watch Series 4 can now tell if you're about to die. The UK government releases internal Facebook documentation; Google employees lobby for better rights for contract workers; Canadian authorities arrest a Chinese tech exec at the request of the U.S. government. 5G is here, if you live in Hawaii or the future. Pausing doesn’t mean what you think it means, and Uber/Lyft drivers in NYC are getting good news. Tumblr bans explicit imagery; Apple plans to sit out the first year of 5G; and Microsoft takes a third crack at making a lightweight version of Windows. Apple Music is coming to the Amazon Echo, 8K TV is coming to Japan and new AirPods are coming ... eventually. Samsung employees are caught selling foldable-screen secrets to China; young people are streaming video to traditional TV sets; and the remnants of Mic get sold off after it failed to find a business model. Amazon Web Services embraces the blockchain, takes on Microsoft, and revs up an unexpected approach to encouraging machine-learning development. iCloud works again on Windows 10, AWS built an ARM chip for use in servers, and Spotify looks to enter the market in India. The Supreme Court seems inclined to let an antitrust lawsuit against Apple move forward; Facebook disbands its election tampering "war room"; Facebook repositions its streaming-video service to focus on older viewers as teens abandon the platform. The UK government has seized documents that claim to show Facebook’s true knowledge of the Cambridge Analytica scandal, Logitech is trying to purchase Plantronics, and if you want your sneakers to look like a Playstation — you’re in luck! Samsung plans four different Galaxy S10 models; Tumblr's app still isn't on the iOS App Store due to a lack of content filtering; a departing Facebook exec takes some blame while casting shade on his internal critics. The FCC is considering redefining rural broadband, while NASA is kicking off in-depth reviews at SpaceX and Boeing and Amazon bids on Disney's 22 sports channels it shed when buying Fox. Mars 2020 has a landing site; Tim Cook was interviewed by Axios; Google remembers that it makes both the Chromecast and smart speakers. Tumblr's iOS app vanishes; Civil War photography meets facial recognition; Microsoft starts selling Amazon Echo devices. Another bad day in a bad week in a bad couple of years for Facebook. Google Pixel phones get an upgrade that lets them see in the dark, the New York Times reports on how Facebook denied and deflected when confronted with criticism, and morale seems to be taking a big hit at Facebook HQ. Amazon's HQ2 choices are official, and three cities are going to add a bunch of new jobs; Waymo plans to officially launch its self-driving taxi service later this year; and Apple admits that it's added technology to Macs that might lock out independent repair shops. Samsung plans new Galaxy models for early next year; YouTube's CEO speaks out against a new European Union copyright directive; and reports from Apple's supply chain cast some doubts on iPhone sales figures. Apple has opened repair programs on recent products, Aardman Studios is now employee owned and Rocket Lab has launched its first commercial payload. Google updates sexual harassment policies following employee protests, and the Nintendo Switch is gaining YouTube support. Oh, and the team behind Vine have a new app coming next year. Qualcomm has to change how it patents its cellular modem tech; Netflix is getting into animated series; Microsoft's Cortona boss is leaving the company. Samsung is teasing a foldable phone and Lime wants its users to stay safe. In non-tech news, Tuesday is Election Day in the United States. Don't miss the chance to have your vote heard. Tesla's legal problems are still worsening; the iPhone may switch to 5G as early as 2020; Amazon's choice of location for its new HQ is narrowing. Uber has created a perks system for drivers, Google saw protests at its campuses around the world, and Apple is changing how it reports its earnings every quarter. Twitter seeks more detail about spam posts; Apple halts the distribution of an Apple Watch update that may be breaking some watches; and autonomous delivery robots are loosed upon the citizens of Milton Keynes. As expected, Apple had a lot of news to share today about Macs and iPad. Elsewhere, NASA has said goodbye to a workhorse of a space telescope. The OnePlus 6T is here, as is the RED Hydrogen One, and the two phones couldn't be more different. Meanwhile, Apple is prepping for its iPad and Mac event in New York City. IBM buys Red Hat; Twitter admits it failed to suspend a suspected bomber after death threats he made; and a social-media network finds it hard to do business after hosting the anti-Semitic thoughts of a mass-murder suspect. The New York Times alleged that Google paid off executives accused of sexual misconduct; the Wall Street Journal detailed Netflix's firing practices; and the Library of Congress hands a win to the "right to repair" movement. Microsoft and Tesla have reported record quarters and Tim Cook is calling for stronger privacy laws here in the United States. It's all Apple today. Reviews of the iPhone XR have arrived; Apple claims to be fixing a "smooth selfie" bug; the company's 2019 video subscription service plans are revealed to be global; and the iPad Mini might not be dead after all. Bloomberg's hacking story continues to draw criticism from Apple and Amazon, Hyperloop tunnels take one step forward and one step back, and Faraday Future hits a bump in the road. Spacecraft are going to Mercury, body cameras are catching fire, and Slack can talk to the SNES. What a world. Apple sets a date for a media event in an unusual location; Samsung starts making 7-nanometer chips; Alexa learns how to whisper. Andy Rubin's phone company hits hard times, Spotify gets an update, and Softbank questions future Saudi VC investments. Google is changing its deal with Android OEMs when it comes to Google Play services, while Facebook is walking back previous privacy statement about its new Portal device and TLS 1.0 meets its end. Adobe announced Photoshop for iPad and releases Premiere Rush; a startup with the Palm name thinks your big phone needs a little buddy; and Paul Allen, co-founder of Microsoft, has died of cancer at 65. The FCC is getting pedantic in defending itself over net neutrality, while PlayStation owners are struggling with crashing consoles and DuckDuckGo continues to grow. Alexa is getting to know us all better; astronauts had to make emergency landing after Russian Soyuz rocket failed during launch; Congress has questions about Google+. Apple may begin releasing free TV shows next year in order to drive users into its TV app; Amazon kills a hiring tool that downgraded women job applicants; and NASA get some bad news about its next-generation rocket. Google! Google! Google! Google! Google! Google has a data breach and sends Google+ to a better place; Facebook announces its own voice-assistant hardware; and Google decides not to bid on a huge military contract. Apple tells Congress there is no evidence of the China-based hack Bloomberg reported last week; Microsoft's latest Windows 10 is deleting customer data, and Google can't stop the Pixel leaks. Bloomberg has published a *wild* report about hardware security concerns in servers; Nintendo is rumored to be preparing an updated Switch, and Bird is going the extra mile for customers who want to commute on a scooter. Amazon raises its minimum wage; Wi-Fi gets a sensible new naming system; and video piracy is back on the rise. Microsoft had a busy day. Instagram's founders pick their replacement; Google Maps gets a tab for commuters; and IMDB becomes Amazon vehicle for ad-supported streaming video. Facebook's massive security breach; California takes on the FCC in terms of net neutrality; and Elon Musk settles with the SEC after a very bad tweet. The SEC has sued Elon Musk, while a SpaceX competitor lands a big contract. Elsewhere, Microsoft is killing off the old Skype, again. Amazon opens a new retail concept in New York City; Apple News provides traffic growth to publishers, but will the money follow? ; and Oculus announces a new, higher-end standalone VR headset. Panasonic has new cameras coming, Qualcomm says Apple stole its IP and gave it to Intel, and keyboard support is coming to the Xbox One. Comcast is buying Ski, Airbnb is trying to make hosts shareholders, and Apple is squeamish about certain types of content on its upcoming video service. Amazon updated all the things. And released an Alexa-powered microwave. Amazon considers opening more cashier-less stores, new Alexa-related products leak in the UK, and more smartphones will be able to transmit your location when you dial emergency services. Apple Watch Series 4 reviews are here, PlayStation is getting in on the retro console excitement, and Tesla's legal woes over Musk tweets are far from over. Apple releases a raft of software updates, Amazon plans a slew of new Alexa-powered devices, and a Japanese Entrepreneur makes a down payment for a trip to the moon. US residents will see a test of the new "Presidential Alerts" system this Thursday. NVIDIA's ship date for its newest GPU line has slipped a bit, but iOS 12's arrival on Monday is still right on track. Inbox is dead, but Jet.com is alive. The Bezos family is launching a $2 billion philanthropy fund. Apple announces three new iPhones and two new Apple Watches and security researchers discover a security flaw that affects most modern computers. Apple's own website has spoiled the company's iPhone and Apple Watch event, and Plex is pulling the plug on its cloud service. Some last-minute Apple rumors arrive, Qualcomm's new smartwatch chip extends battery life, and there's a revolving door between Google Cloud AI and academia. Apple and Trump spar over tariffs, Microsoft has announced the final support extension for Windows 7, and NASA is outlining plans to start building a small space station in lunar orbit. The Pixel 3 is coming in October, while Alex Jones' Twitter account and Theranos are both gone for good. The TSA plans to expand its quick 3D carry-on baggage screening; HTC Vive opens its store to Oculus Rift users; IMAX and DTS create a certification program for the best home theater experiences. Researchers pose as Kremlin-linked trolls and buy political ads from Google; Facebook and Twitter are set to appear before Congress; a new study says wireless carriers target Netflix and YouTube videos for throttling. Twitter CEO said to intervene in content-blocking decisions; Five Eyes nations spies warn against too much encryption; and Labor Day marks the unofficial last day of summer. Twitter may or may not be getting a redesign, but Skype definitely is. Oh, and a happy birthday to Google Chrome. Apple's new gadgets are all over the web, and Lenovo is trying something a little crazy. DC details its upcoming streaming video service; Twitter tests personalized unfollow suggestions; Sonos announces Sonos Amp, a more powerful amp with Sonos connectivity. Uber plans for the future, YouTube reminds you about your viewing time, and Google readies the Pixel 3. Cell carriers are bad at data security, Didi is a terrible company, and Elon Musk may have no idea what he is doing. Google is working to block phishing attempts from Iran, Nikon has a couple of new cameras to take on Sony, and 007 is back in my life. Apple pulls Facebook’s VPN/data-gathering app; Microsoft plans to offer an Xbox subscription service; Walmart launches an ebook and audiobook store. Verizon Wireless throttles California fire department’s data plan; Facebook removes Iran- and Russia-linked accounts; HTC reveals its new HTC Vive wireless adapter. Apple goes back to the Mac; Nvidia makes it official; FitBit gives its fitness tracker an upgrade. New GPUs! More Tesla promises! More Subnet hosts! Amazon and Google are looking at physical locations, while MoviePass is still hanging on. The FCC lied about a DDoS attack, Apple is looking at custom silicon for health tracking, and Instagram polls make me sad. The federal government is banning ZTE and Huawei equipment from official purchases, Google is tracking user location despite app settings and Group FaceTime isn't coming this fall, as promised. NASA's sun-studying spacecraft is on its way after a successful launch, while Intel's plans for its 9th generation core processors leak and Arris supports the open mesh networking standard. Samsung had a big day. The Magic Leap headset is here, kinda. Anki has a new robot, and the SEC is looking to a recent Elon Musk tweet. Snapchat lost numbers in the wake of its redesign, Elon Musk is pondering taking Tesla private and the email client Newton is not long for this world. Alex Jones runs afoul of content policies enforced by Apple, Google and others, while old Skype gets a new lease on life ... for now. Arlo users, Flat Earthers and caffiene-loving cryptominers have had a disappointing few days. The Surface Go is shipping, Commerical Crew sees another delay, and Apple is worth $1 trillon. iOS may have leaked the next iPad Pro, Tesla posted record revenue, and Facebook is helping users limit their time in its app. Google is putting some rules in place around notches, Logitech has purchased Blue, and Apple made some money. MoviePass continues to struggle, while Dropbox is giving users more space and Twitter sits in a corner and thinks about what it has done. MoviePass had a bad weekend, and this year's flagships from Apple and Google are already leaking. Slack is buying HipChat, the first Google Smart Display is out, and Amazon may be Apple to a $1 trillion market cap. Facebook is struggling to add new users. Scientists may have found an underground liquid water lake on Mars, while Microsoft developers are working to bring new emoji and mixed reality experiences to future versions of Windows 10. Apple says it has fixed the aggressive thermal throttling taking place in the 2018 MacBook Pros. Elsewhere, Chrome is now warning visitors of non-encrypted websites, and Segway has a new product on the market. Alphabet has posted its Q2 results, a mysterious Google design video has surfaced, and a group of German students won a recent Hyperloop competition. Apple is hosting a live HomePod Q&A, Uber and Lyft have fired a driver for live-streaming their riders and Snap is shutting down Snapcash. Instagram is getting old-school status indicators, the new MacBook Pro keyboard has a trick up its sleeve, and Comcast has officially given up on buying Fox. The EU has found Google guilty of breaking antitrust laws. Corning has new smartphone glass coming to market, and Amazon says Prime Day was a huge success. Nest is down a CEO, but Jupiter is up to 79 moons after a recent discovery. Skype is launching a new version of its app that includes end-to-end encryption and call recording. World Emoji Day is here, as is Prime Day. Instapaper has a new owner ... again. Apple's new notebook keyboard holds a secret. Twitter bans accounts tied to Friday's indictment of Russian hackers, and as of Monday, there is just one Blockbuster location left in the United States. Apple has new MacBook Pros for sale, Tesla customers are going to face a decreasing tax break on their new cars, and Microsoft is going after Slack. Magic Leap shares details of its upcoming Magic Leap One AR headset, Blizzard Entertainment signs a deal with ESPN and Disney to broadcast “Overwatch”, and analyst Ming-Chi Kuo outlines his expectations for Apple’s fall lineup. Facebook gets hit with a £500,000 fine for the Cambridge Analytica scandal, Mercedes says it’s working on a self-driving taxi service, and the FCC wants to ignore your informal complaints. YouTube outlines plans to improve video news coverage, Apple’s iOS 11.4.1 update blocks passcode cracking tools, and Tom’s Hardware reveals details of Microsoft’s new Surface Go tablet. A Polar fitness app revealed the location of intelligence officers, SpaceX engineers build and test a kid-sized rescue submarine for the trapped soccer team, and MoviePass promises refunds after an outage on Friday. Ming-Chi Kuo says the next iPhone will come in several new colors, MoviePass plans to charge its users for popular films, and the EU rejects its controversial copyright reforms. Amazon plans to release a print catalog this holiday season, Netflix is testing an “Ultra” subscription tier with HDR, and Wikipedia protests EU copyright reform by going dark in certain EU countries. Siri erroneously reports Stan Lee’s death, researchers determine whether your phone is eavesdropping, and Travis Air Force Base gets a light show courtesy of Intel’s Shooting Star drones. A Samsung Messages bug appears to be sending random photos from users’ photo libraries to random contacts, a Facebook Messenger bug unblocked a bunch of blocked accounts for more than 800,000 users, and Instagram has introduced a new feature to separate old and new posts. The NSA is purging CDRs it gathered under FISA due to “technical irregularities,” Tesla sort of hits its Model 3 production goal, and researchers find a flaw in LTE that lets them send a user to a malicious site. Amazon has purchased an online pharmacy, while Kroger is looking at self-driving cars for grocery delivery and Razr has a new mechanical keyboard that uses light instead of springs. Samsung and Apple have settled their long-fought patent suit, while Disney has to sell of some of Fox to buy the rest. In news that will shock no space fan, the James Webb Telescope has seen another delay. The macOS Mojave public beta is here, as are new Snapdragon chips aimed at mid-tier phones. Facebook has announced it is no longer building its own drones for Internet access. The iOS 12 public beta is here, as are Amazon Prime discounts at Whole Foods across the US. Oh, and the Surface devices are getting on the USB-C train, sorta. Apple has opened a keyboard repair program for its notebooks, Buzz Aldrin has opened a lawsuit against his son and former business partners and Tesla has been busy building tents so it can build cars. Apple and Qualcomm are battling it out, Intel is looking for a new CEO and MoviePass is doing MoviePass things. IGTV is here, whole Xbox One owners get bad news about VR and Disney and Fox move forward with a merger. Google has launched a podcast client for Android, Oppo has a crazy new phone, and the Echo is getting cozy in hotel rooms. Trump wants a Space Force, video game addiction is officially a disease, and the tronc brand is dead. Foxconn is building in the United States, Elizabeth Holmes is facing Theranos-releated charges and Apple is teaming up with Oprah. Nothing can keep AT&T and Time Warner apart now, even though the latter's former business is in hot water with New York. Also, Snap is doing stuff. Twitter is leaning into news, while NASA's Opportunity rover is riding out a massive Martian dust storm. Meanwhile, Apple is working to make the iPhone more secure against law enforcement hacking. AT&T has gotten the nod to purchase Time Warner, Nintendo showed off future titles at E3, and Tesla is letting go of 9% of its staff. Net neutrality is dead, Palmer Lucky wants to secure the border, and a Fitbit for kids is now for sale. Microsoft is scooping up game studios, Apple may ditch the physical buttons on the Apple Watch, and Airbnb is helping people host others during emergencies. Amazon has a new Fire TV device, Ticketfly is back online after a massive breach, and the NTSB has weighed in on a recent Tesla crash. New Horizons is preparing for its next target, Apple is allowing free trials in the App Store, and Asus is experimenting with screens as trackpads. Microsoft is buying GitHub. Apple kicked off WWDC. Xbox may be gaining voice assistants, Facebook is dropping Trending, and Apple is set to launch ... something. Google will not be renewing its Project Maven contract, while Microsoft and Lyft are considering big acquisitions. Xiaomi's new phone's design has raised some eyebrows, while Rockstar is bringing back some classic games, and Time Magazine is busy playing with drones. Google is expanding Project Fi, California's Senate votes to save net neutrality, and Consumer Reports has changed its tune on the Model 3. Apple ships 11.4, PUBG and Fortnite tangle in a new lawsuit, and China is looking for partners for its new space station. Intel is facing an age discrimination investigation, Pandora is working to attract new customers, and Google may be readying more modern Pixel phones. Jeff Bezos has outlined his lunar ambitions, Facebook and Google have been hit by massive GDPR lawsuits, and Russia is probably all up in your router. GDPR is here, the city of Orlando and Amazon are being questioned over the use of facial tracking software, and Apple's offering customers one month of free iCloud space when the upgrade to a paid plan. Andy Rubin's Essential is coming to an end, Samsung and Apple's case has come to a close for another time, and a user says their Echo sent a recording of a private conversation to a co-worker. Comcast is making an offer to buy 21st Century Fox, Sony says the PS4 is nearing the end of its life, and a court has ruled that Trump blocking Twitter critics is unconstitutional. Mark Zuckerberg has testified in front of European leaders, Consumer Reports has tangled with Tesla, and Comcast was leaking customer data in plaintext. Fortnite eSport pools are going to be flush with cash, the Obamas have signed a deal with Netflix, and another Intel CPU flaw has been disclosed. RED is starting to show off its Hydrogen One phone, Elon Musk has shared more about the dual-motor Model 3, and President Trump is looking for ways to charge Amazon more for its use of the postal service. The Boring Company is digging a tunnel in parallel to the 405, Google is telling employees more about Project Duplex, and the Snapchat redesign was the CEO's doing. Whoops. Google is upending YouTube Red, Apple is said to have sold 600,000 HomePods, and Microsoft's Adaptive Controller is real. Microsoft may be readying cheap Surface tablets, while OnePlus unveils its new Android phone. Meanwhile, the Senate is trying to save net neutrality. Microsoft has taken the wraps off its Surface Hub 2, Twitter is making changes to curb abuse, and HTC has a new phone that ... well ... is based on blockchain technology. Google is revamping its paid storage options, Microsoft is working on a new controller, and the Senate is set to vote on net neutrality. Trump is working to reverse the U.S. Department of Commerce ban on ZTE, while Telsa sees another high-profile departure and the world learns of a lawsuit against Apple over the MacBook Pro's keyboard. Microsoft is replacing flickering Surface Pro 4 units, Boston Dynamic's SpotMini robot is going on sale next year, and NASA is prepping a small helicopter to go to Mars in 2020. Google is weighing disclosure options for Duplex calls, Apple is working on clean aluminum, and Klout is dead. Apple may be preparing to sell video subscriptions through its TV app, SpaceX is about to launch the first of the final version of its Falcon 9, and ZTE is shuttering its phone business. The first day of Google IO was a busy one, with the company showing off improvements to Android, Google Assistant and Google News. The first day of Microsoft Build brings a look at the future... a future where Windows isn't the center of the PC universe. The iMac turns 20, NASA InSight is headed to Mars, and both Google and Microsoft are holding their developer conferences. Apple is dealing with iPhone 7 microphone issues, Google Assistant knows all about movie tickets, and the effort to resurrect Vine has ended. Twitter is warning all of its users to change their passwords, Pocket Casts has been purchased by a group of public radio stations, and shopping within Instagram is coming. Hulu is making content available offline, Cambridge Analytica is going out of business, and Tesla is struggling to find profits. Apple sold some iPhones, Facebook wants you to date, and a new Twitter app is coming to Windows. Fitbit is looking to make activity data more useful to doctors, a new Windows 10 update is rolling out, and Sonos is prepping new goodies. T-Mobile and Sprint are moving toward a merger, Blue Origin sees another successful test flight of its suborbital rocket, and Amazon Prime fees are going up starting in May. MoviePass isn't the deal it once was, a report claims Apple is swinging big on the future of AR and VR, and the Ford Taurus is dead. Amazon's quarterly results are in, Snap has new Spectacles for sale, and Apple has killed its Airport line of products. A redesigned Gmail is rolling out, Amazon can leave packages in the trunk of your car, and Facebook's quarterly results are in. Spotify has updates its free tier, Facebook has shared its Community Guidelines, and Xbox One S and X owners are seeing updates to their consoles. Amazon is planning in-home robots, Apple and Samsung are headed back to court, and Nest is losing cash hand over fist. Apple is replacing batteries in 13-inch MacBook Pros, Campo Santo has sold to Valve, and Amazon is guarding reviews of James Comey's new book. AT&T and Verizon are under investigation for their attempts to stifle eSIM technology, while the former is preparing a low-cost streaming service. Meanwhile, the iOS App Store redesign is a big win for featured apps. Google has a new messaging app coming, Apple built a new recycling robot, and it's easier than ever to build Alexa Skills. Amazon has 100 million Prime members, NASA TESS has been launched atop a SpaceX Falcon 9, and OneNote users are in for a new PC app later this year. Tesla is halting Model 3 production, Russia blocked Telegram, and Apple is looking into a paid news service. Netflix's Q1 numbers are great, unlike ZTE's week, which brought a ban on US exports from the US Department of Commerce. Amazon is no longer planning sell drugs to hospitals, sending pharmacy stocks soaring. Android P may bring new gestures, Ford is gearing up for a self-driving feet, and Apple is repairing 42mm Apple Watch S2 devices with swollen batteries. Apple is cracking down on leaks, AMD has new CPUs for sale, and the NTSB and Tesla clash over an ongoing investigation. Online privacy legislation is being drawn up, 32-bit Mac apps are dying off, and Nintendo is accepting pitches. Zuckerberg is back in Congress, Gmail is due for a redesign, and Spotify has teamed up with Hulu on a new bundle. Zuckerberg testifies in front of the Senate, Vevo's YouTube account was hacked, and LG is readying its G7 phone. An open-source project lets you browse your Windows PC in style, while HP takes on the iPad Pro and Apple launches a PRODUCT(RED) iPhone 8. Backpage was taken down by the government, NASA is looking into a new generation of supersonic planes and under ocean Internet cables have ben damaged off the coast of Africa. Third-party Twitter clients are facing a tough future, while Spotify is possible planning a hardware device, and Facebook is undoing the ability to unsend messages. Apple shares new info on the Mac Pro, the Lunar X Prize is back, and 64-bit apps on ARM-based PCs may be around the corner. Facebook discloses more bad news, Intel changes its plans for patching older hardware against Spectre, and Rocket Lab is open for business. Spotify held its IPO, Apple has hired a former Google executive, and a day of tragedy at YouTube HQ. Apple is rumored to be preparing a move away from Intel CPUs in the Mac, Grindr shared HIV data with outside analytics firms, and the government is upset Tesla shared details about a March crash that killed a Model X driver. Drupal admins need to patch their sites, CloudFlare enters the DNS market and April Fools' Day is still a thing. SpaceX gets the green light for it's satellite-based Internet access plans, Alexa is learning how DVRs work, and macOS users can now take advantage of eGPUs. MyFitnessPal has been hacked, Microsoft is reorganizing its Windows division, and Uber has settled with the family of the woman killed in Arizona. Apple CEO Tim Cook has tough words for Facebook, while Google has shipped a beta of the next version of Wear OS, and car companies aim to dazzle and the New York Auto Show. Apple has a new iPad for consumers and schools, Google has purchased Tenor, and NASA's next-generation telescope is behind schedule, again. The FTC has opened an investigation into Facebook, Apple is building out its original content portfolio, and Acer has announced the world's first ChromeOS tablet. Apple has new emoji suggestions, Dropbox had a great first day of trading, and Elon Musk had his companies' Facebook pages taken down. Huawei and IBM are having bad days. GoPro is just having a bad ... series of years. Facebook is rolling out changes in the wake of the Cambridge Analytica leak, Fornite is raking in the cash, and Google may be buying Lytro. Facebook is facing questions concerning Cambridge Analytica, while Google is launching new tools to stop the spread of fake news and YouTube makes livestreaming easier than ever. A woman has died after being struck by a self-driving Uber in Arizona. Apple is investing in next-gen MicroLED displays, and GDC is underway. Facebook dumped news on Friday evening about the Trump campaign's use of personal user data, while the U.S. Navy has fitted Xbox controllers to its newest submarine and Twitter is reportedly banning cryptocurrency ads. Apple is hosting an education-focused event on March 27, Google Lens has made it to iOS, and astronauts Scott and Mark Kelly aren't as different as some media reports would leave you to believe. Intel is working to protect future CPUs against Spectre, Google has renamed Android Wear, and Nest has launched a pair of new products. The world remembers physicist Stephen Hawking today. Google launches new goodies for game development using Maps data, and Theranos and its CEO Elizabeth Holmes are charged by the SEC. Fitbit has launched a new smartwatch, Trump has blocked the Broadcom takeover of Qualcomm, and Apple has announced the dates for its annual WWDC event. Apple is purchasing Texture, Toshiba is launching smart glasses for the industrial work place, and Hue has announced a range of outdoor lighting products. Essential is filing patents, courts are debating Twitter muting, and Elon Musk is throwing out dates for the BFR. Alexa can now listen longer and Nintendo had a busy week. Google is pushing for AMP to become a wider standard, Snap is laying off 120 engineers, and TunnelBear has been purchased by McAfee. Window 10 S is being replaced by a new mode in Windows 10, Alexa is laughing creepily without warning, and Android P will bring updated notifications and notch support. Blackberry is suing Facebook for patent infringements, Amazon is bringing free, two-hour Whole Foods delivery to Prime Members in Atlanta and San Francisco, and Disney parks can now be explored via Google Street View. MoviePass is collecting large amounts of user data, Spotify is cracking down on pirates and HP is hoping to serve the healthcare industry with new PCs. The Switch turns 1, Nest leaves Amazon.com and the MacBook Air may be getting an update this year. Amazon is looking to make Alexa more language-aware while Dropbox is getting cozy with Google services and NOAA has launched a new weather satellite. Spotify is filing for IPO, Twitter is rolling out a new bookmarks feature and Google has launched a Slack competitor named Hangout Chats. Ford is testing self-driving cars in Miami, ASUS has unveiled its ZenFone 5 and Amazon is looking to purchase Ring. Apple may be readying a new line of iPhone X models, while Sony and Canon both play catch-up with new products. The Galaxy S9, Facebook at CPAC, and the Dropbox IPO. Samsung's Galaxy S9 has been leaked, the FCC is being sued over its net neutrality repeal, and Snap's stock tumbled after a disgruntled tweet. Twitter is banning bots, SpaceX is building a network of satellites, and AT&T is rolling out 5G. Welcome to Subnet, where Stephen Hackett talks about three tech stories you need to know.